There are more than 50 Fibromyalgia Awareness Day Events occurring nationally and internationally! 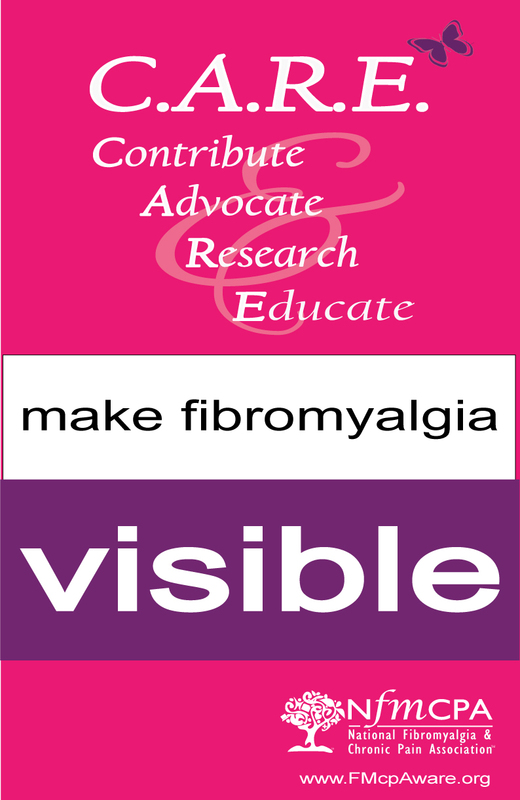 We appreciate your commitment to raising your voices to educate people about fibromyalgia. Even if you reach out to just one person who doesn't know about or understand the effects of fibromyalgia, it is one more person who may support future efforts to CARE and Make Fibromyalgia Visible. To locate and participate in an event close to you, or to find one online, please visit the National Fibromyalgia & Chronic Pain Association's website by clicking the link below and following these quick, easy steps to locate Fibromyalgia Awareness Around the World! Once you are on the home page, scroll down to discover a variety of events.